Did Jesus Claim He Was God In Bible? Does The Bible Claim Jesus Is Yahweh? I thought I’d tackle this by drawing attention to the name of God commonly used in the Old Testament, (and by the Jesus in the Bible,) even until today: Yahweh. And why did the Romans. On nailing Jesus to the cross decide to put the words “Jesus of Nazareth, King of the Jews”—the acronym to which is YHWH? But in Hebrew the acronym was written above Jesus’s head was: YHWH. So who was it that asked the woman—Give me a drink? Jesus. He was the speaker, and he was the “I Am,” as in this passage in John 8. 59 Then they took up stones to throw at Him; but Jesus hid Himself and went out of the temple,[b] going through the midst of them, and so passed by. And when Jesus was crucified they placed the sign post “YHWH” above his crucified head, further affirming what Jesus claimed of himself. Is it any wonder that the religious leaders reacted so vehemently and wanted the sign changed? And what does YHWH mean anyway? 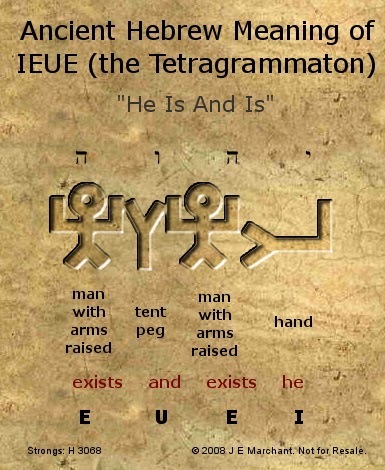 Also known as the Tetragrammaton, the Ancient Hebrew is written as in the image below. Its literal meaning is: Exists and Exists He. This ties in with “I Am That I Am” generally shortened to “I AM”. You probably already know that each alphabet in Hebrew has a meaning with a corresponding picture linked to it. The equivalent of the letter “A” for instance, which is “Ox”, “Strength” or “Leader”. So if you string the alphabets YHWH together what picture do you get? What sort of picture was God trying to paint using these alphabets—if you, like I do, believe that each letter and jot or tittle is crucial to understanding the Word of God, that is. (Yod) Arm or Hand, (Hey) Lo! Behold or Look! (Vav) Nail or Peg, (Hey) Look! It sure seems like God wanted the Jews (and us) to draw attention to, and behold, the hand and the nail. Of whom? 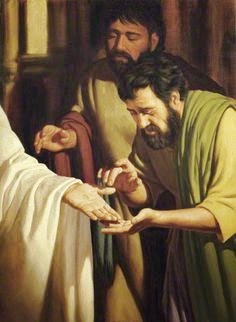 So, today, if you have not beheld what Jesus did, did not beheld HIS nail pierced hands/arms and what He did on the cross, would you not consider it for once? Ask Jesus to come into your life and see HIS goodness all the days of your life. “THIS IS JESUS THE KING OF THE JEWS. “V Malech” is definitely not “The King”. V Malech is “And King”. YHWH at this point I think might be interpreted by some as Behold the Nail, etc. But the VMalech thing looks pretty shakey to me.